At Tuesday's Build keynote, Microsoft showed how the company plans to add increased utility to its Cortana digital assistant, through greater contextual awareness and more proactive actions. It’s not clear when these capabilities will come to Cortana, though it seems likely they’ll be rolled out over the coming months, probably timed to coincide with the Anniversary Update of Windows 10 this summer. Microsoft Chief Executive Satya Nadella said the improvements to Cortana are part of a larger conversation the company is having, involving natural language interactions with users and even other automated digital intelligence, or bots. Cortana interacting with a user’s Outlook calendar. 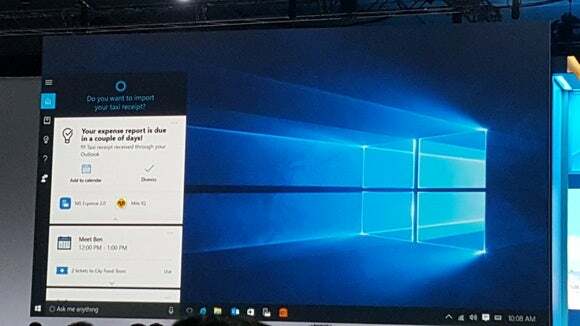 Marcus Ash, the group product manager for Cortana at Microsoft, showed off some of its new capabilities—the most impressive of which was its ability to “send [a colleague] the PowerPoint that I worked on last night”. 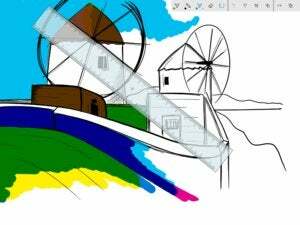 That entails “knowing” what PowerPoint document the user was using, when he or she was using it, and who the colleague is. Ash also showed off the ability to automatically reschedule a meeting, based on a crowded schedule. Ash also asked Cortana, “What toy store did I visit during last years’ Build?” Microsoft’s digital assistant found the location. What was perhaps most interesting, though, was Cortana’s attempt to predict and anticipate what you might want to do. 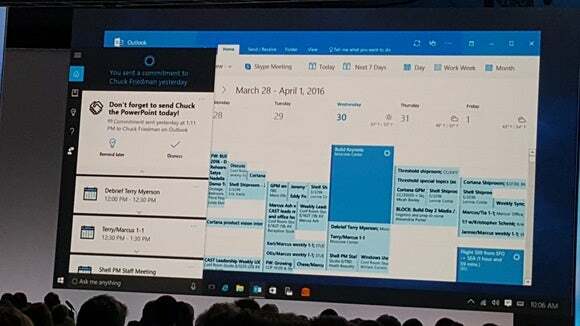 In one example, Cortana showed off how it “knew” a user’s expense report was due in a couple of days, and suggested that the user actually get working on it. It then offered to send it on its way. Microsoft also said that Cortana will be able to interact with bots on your behalf, including one that booked a hotel room when Cortana fed it the preferred dates.